Published: May 21, 2008 at 04:40 p.m.
CINCINNATI -- It's almost as though Odell Thurman was never here. Two days after the Cincinnati Bengals released the troubled linebacker, coach Marvin Lewis refused to talk about him in any detail. Thurman's former teammates expressed sadness. 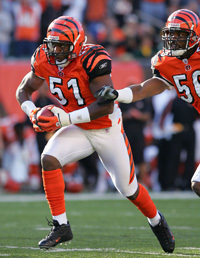 The Bengals second-round draft pick in 2005, LB Odell Thurman was released by the team Monday. The organization publicly and steadfastly supported Thurman while he went through treatment for alcohol abuse and served a two-year suspension from the NFL. When it concluded that the former second-round pick wasn't working hard enough to regain a spot on the team, it made him past tense. "We've been patient enough with Odell, and he's no longer here," Lewis said Wednesday, following the team's voluntary, on-field workout. "No big deal." In many ways, it is a big deal. Thurman's release left the Bengals with virtually nothing to show for their 2005 draft. First-round pick David Pollack is retiring because of a broken neck, and third-round pick Chris Henry was released last month following his fifth arrest as a Bengal. The only starter from that draft class is center Eric Ghiaciuc, a fourth-round pick. "Odell was a well-liked guy on the team, had possibly more talent than anybody we've seen come through here," sixth-year quarterback Carson Palmer said. "So it's tough to lose an athlete like that, a guy like that, and a draft pick. "I mean, you only get so many second-round draft picks and when you only get one year out of them, it affects your team tremendously. It's just tough to lose the player that he was, and you really can't replace him." Thurman showed signs of turning into a star as a rookie middle linebacker, when he led the team in tackles and led all NFL rookies with five interceptions. He never played for the Bengals again. Thurman was suspended by commissioner Roger Goodell for the last two seasons after he skipped a drug test, got arrested for drunken driving and failed to meet the league's expectations for reinstatement. 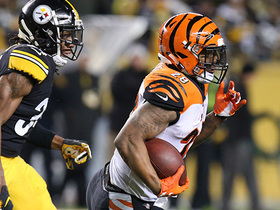 He was allowed to resume working out at Paul Brown Stadium in January, and was fully reinstated on April 21. Teammates encouraged Thurman to spend more time with them so they could help him stay on the right path. "To see a young guy with so much potential and so much talent, and let it go to waste ..." said safety Dexter Jackson, one of those who sought out the linebacker. "His mindset just wasn't in the place. I wish him the best in whatever he does, but he had the opportunity to be here and be one of the best, but he didn't capitalize on his opportunities." Asked if he got the sense that Thurman ignored what his teammates told him, Jackson said, "I wouldn't say that. Everything sounded good. I just think (it's) the other people he was with." Thurman went back to Georgia for his grandmother's funeral on May 12 and didn't return for voluntary workouts last week. 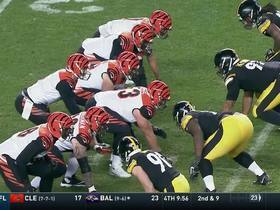 The Bengals have been using the workouts to install a new defense, a little more each day. Thurman had a long way to go to win a spot on the team after not playing for two years. By missing so much time recently, he sealed his fate. Lewis suggested he shouldn't use the funeral as an excuse. "His grandmother's been buried for quite a while. Don't get into his whole family structure," Lewis said. "He has not played football in two years. And we have people who will be better for our football team." 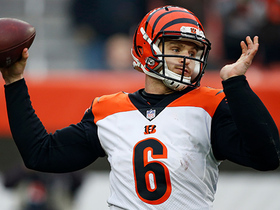 Henry and Thurman weren't the only offseason issues for the Bengals. Receivers Chad Johnson and T.J. Houshmandzadeh are skipping the voluntary workouts -- Johnson because he wants to be traded, Houshmandzadeh because he prefers working out at home. Palmer is disappointed that the two Pro Bowl receivers aren't in town helping the newcomers learn the system. 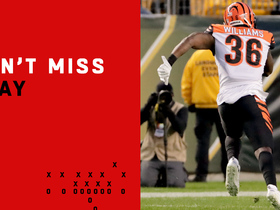 The Bengals took three receivers in the draft last month. "You'd hope that a guy like Chad and a guy like T.J. would be here helping guys out and trying to make the team better in that way," Palmer said. "But they've got to handle their own business themselves, too." Players had bright orange T-shirts in their lockers Wednesday with "NOW" in large letters. Lewis gave them T-shirts that said "One Heartbeat" a few years ago, trying to foster a team mentality. The new shirts are part of his latest attempt to pull the locker room together. "His point is: Don't wait," Palmer said. "Now's our opportunity. This year's our opportunity. He said in the first meeting that we have enough talent in the room -- and he said right now -- to win the Super Bowl, don't wait for things to happen."